As hockey season draws closer, the Colorado Avalanche participated in last weekend’s 2017 NHL Prospect Showcase in San Jose, California, the annual tournament where NHL rookies and prospects look for their last shot to crack the Avalanche roster before training camp and preseason games get started. Unfortunately, the Avalanche would go winless throughout the Prospect Showcase. 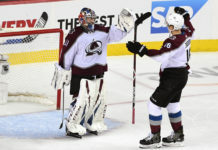 However, it presented an opportunity for the Avalanche coaching staff and GM Joe Sakic to see which players might be a fit for this year’s squad, and which players will need more time to develop with the San Antonio Rampage, the Colorado Eagles, or the players’ respective junior or collegiate teams. After landing a solid open-ice hit, AJ Greer answers the bell and fights Jacob Middleton. It appears as if Greer may finally be ready for a full-time Avalanche spot, as he was one of the brightest spots for the Avalanche during the Prospect Showcase. Utilizing his physicality, Greer was able to force turnovers at will. Along with being a physical force on the ice, Greer was also able to contribute offensively for the Avalanche during the showcase. Spending most of the time last season with the San Antonio Rampage of the AHL, Greer was able to accumulate 38 points in 65 games while playing on the Rampage’s top line. Greer would be valuable for the Avalanche, as he brings a physical presence with him wherever he plays, and possesses a no-fear mentality when it comes to getting into the dirty areas to make a play. This would be valuable for the Avalanche, who could use some much-needed edge to their game. After finishing the season with the Brandon Wheat Kings of the WHL with 68 points in 70 games, Lewis came into the Prospect Showcase with a head full of confidence — and it showed. Making a team off of an amateur tryout is never easy, but Lewis certainly left an impression. Lewis brings a deadly combination of speed, skill and size, allowing him to both create opportunities and serve as a playmaker on offense. As expected, Mironov was a standout during the Prospect Showcase. Utilizing his tremendous skating ability, Mironov was able to control the pace of the game in the Avalanche defensive zone. He appeared to be getting comfortable with the North American style of the game, in comparison to the European style he was playing in during his KHL stint for the Dynamo Moscow. 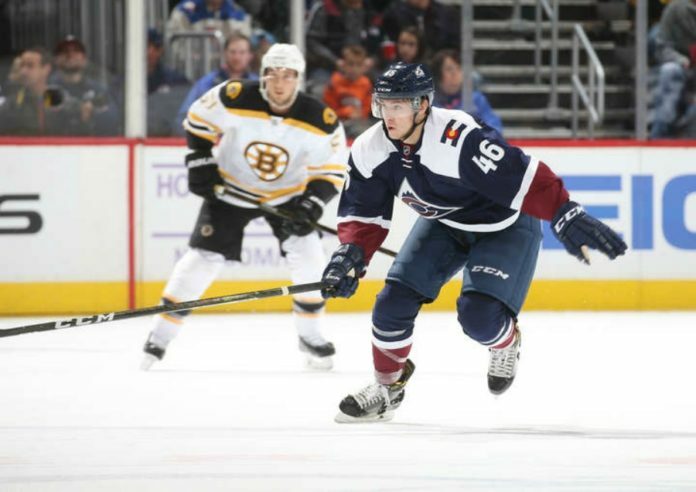 Mironov is expected to be an important building block in constructing a troubled defense for the Avalanche as soon as this season. He should be able to bring an aggressive edge to the team, while also being able to control the puck and contribute offensively with his nifty passing. Honorable Mentions: Jeremy Roy, Gustav Olhaver, Peter Kvaca, Ben Storm, Nicolas Meloche. One of the most noticeable issues of for the Avalanche in the Prospect Showcase was their inability to maintain momentum throughout the game. 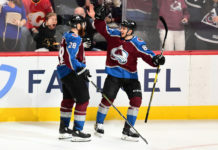 On more than one occasion, the Avalanche would be able to score a goal, and the opponent would almost immediately come back down the ice to get a goal of their own and halt the Avalanche’s momentum. On multiple occasions during the three showcase games, the Avalanche would find themselves on power plays during opportune moments in the game. However, then the Avalanche would have difficulties, and on multiple occasions, it would be the other team that would come down the ice, and convert for a short-handed goal. Whatever the Avalanche was able to glean from their performances in the Showcase, the losses felt all to familiar. 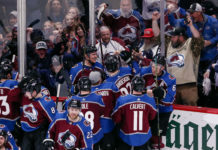 With the season opener only weeks away, Sakic and his coaching staff are certain to face difficult choices as they continue the difficult climb toward respectability in the Western Conference.